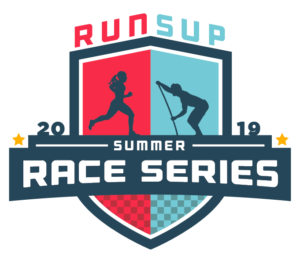 Time to grab your spot in the 2019 RUN/SUP® Summer Race Series! Now in our 4th year, the RUN/SUP® Summer Race Series is back and better than ever! Every Friday in June and July, the 2019 RUN/SUP® Race Series will consist of a one mile trail run followed by a one mile stand up paddle board (SUP) competition. There is the option to do both the trail run and the paddle as in previous years, and new to 2019, is a relay option! There is now a heat for teams this summer! This will allow one team member to run the mile and the other team member to stand up paddle the mile. All races start from the BoatHouse Paddle Club, RUN/SUP®’s flagship location in WaterColor, Florida. The trail run will be on the trails in WaterColor and the stand up paddle board portion of the race will be held on Western Lake. Both the individual and relay series will have a standing leader board throughout the series and there will be a male and a female winner announced at the conclusion of the race series as well as a team winner for the relay series. We are ecstatic to announce that the Walton County Special Olympics is once again our charity partner for 2019.